HIGHLY COMMENDED IN THE BMA MEDICAL BOOK AWARDS 2013! 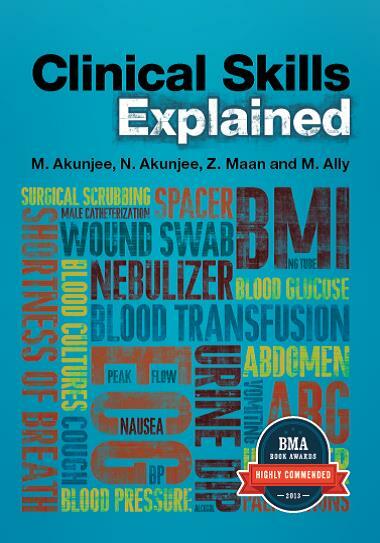 "With a philosophy that there is more to learning clinical skills than following checklists, this book offers students a clear, concise manual from which they can learn clinical skills and procedures in a systematic manner; whilst developing an understanding of not only what they need to do and why they need to do it, but also learn to apply key elements of theory to patient presentation and examination findings to generate differential diagnoses... This book will be extremely useful for students in the early stages of their training. By integrating clinical skills information with core basic scientific knowledge, it allows students to apply theory to practice as they develop essential clinical skills and basic problem solving skills." To test your understanding, each chapter ends with a series of clinical scenarios that are typical of the cases you will come up against. These encourage you to assess the key features, consider the likely diagnosis, and decide what questions you might ask, or further investigations you might request, to confirm your diagnosis. "This book will be extremely useful for students in the early stages of their training. By integrating clinical skills information with core basic scientific knowledge, it allows students to apply theory to practice as they develop essential clinical skills and basic problem solving skills."